Property owners in Summerville South Carolina rely on Titan Roofing LLC and our professional roofers for both roofing repair and replacement services. We work on all types of roofs from shingles, single-ply, built-up, modified bitumen or even metal and can help you accomplish your roofing goals. Call us today to discuss your needs with us at 843-647-3183 and schedule your Summerville SC roofing services with Titan. Summerville SC homeowners that are in need of roof replacement services can reach Titan Roofing at 843-647-3183. Our certified residential roofers have over 25 years of experience in the industry, making us the preferred choice for Greater Charleston SC roof replacement services. We will conduct a full assessment of your roof prior to rendering any work to ensure we complete your roofing needs the right way the first time. Commercial property owners in Summerville SC that are looking to replace their roof can do so by working with Titan. 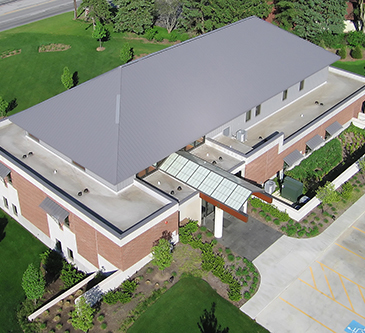 Because our roofers have so many years of experience in the roofing industry, we have developed and perfected the best techniques for replacing your commercial roof. No commercial roofing project is out of our scope and no one beats us in timely completion and quality of work on your roof in Summerville SC. Commercial property owners and residential homeowners in need of repair services for their roof can also rely on Titan Roofing for exceptional quality repair services. You don’t want to trust your roof and investment to out of state contractors that are looking to rush through your roofing repair. You definitely don’t want to pay to have your roof repaired once by one of these out of state firms only to have to hire a professional team to come fix their mistakes. Let us provide you with the quality roofing repair services and customer service that you expect and deserve the first time around. From patching a leak to repairing your siding, we can handle all of your roofing needs. 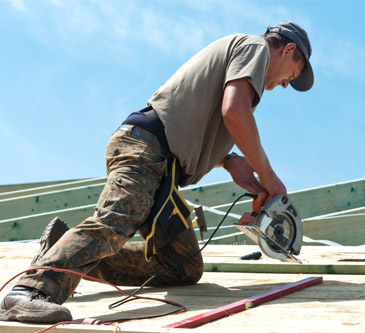 Reach our expert roofers today by calling Titan Roofing LLC at 843-647-3183. We look forward to working with you to help you accomplish your roofing goals. Remember, your roofing project is our business and no project is too big or too small for us to handle. Call your local, professional roofers in Summerville South Carolina today at 843-647-3183.